Earthquake Prediction: Rare Planetary Alignments Today 25th July 2017. 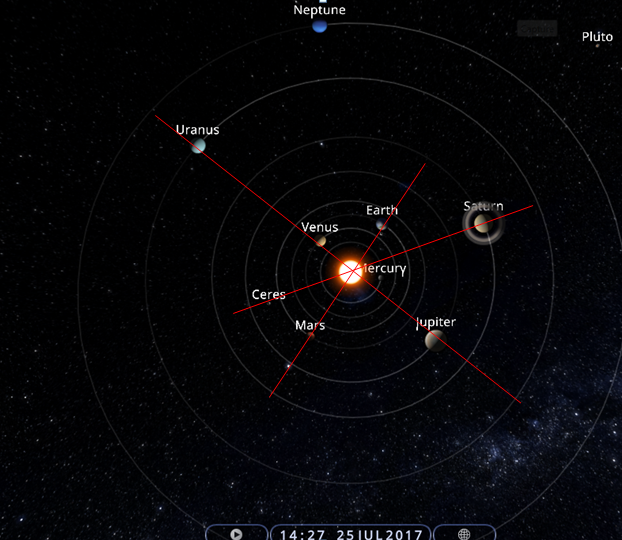 Rare Planetary Alignments Today 25th July 2017. The last time these planets were in tight alignment which is visible diagonally from Earth in the sky, was 29th october 1910, over 100 years back. Similar alignments we had in 1915, 1955 and 1966. I will leave it to you to see if those dates were significant enough or not.